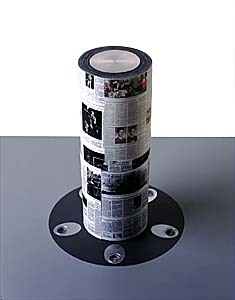 The New York Times Magazine held a design competition in 1999 seeking concepts for a time capsule to commemorate the new millennium. On behalf of IDEO, Blaise Bertrand and I came up with this concept, which won us an Honorable Mention. Click on the images below for a slideshow of the concept proposal.